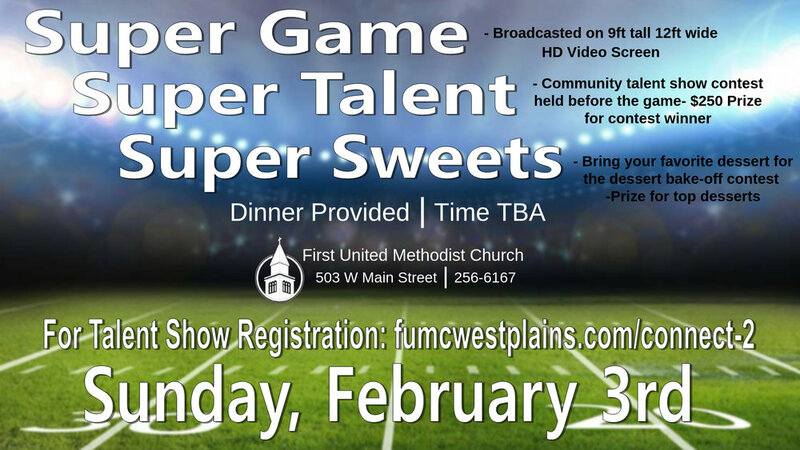 Thank You for registering to perform at Super Talent at FUMC West Plains. We will be contacting you to discuss your performance soon. If you have questions please feel free to contact the church office and ask for Scotty Wall or Myranda Porter. AFFILIATION: WE ARE PART OF THE MISSOURI CONFERENCE OF THE UNITED METHODIST CHURCH. © 2018 First United Methodist Church West Plains.